Edraw makes it easy to create custom inventory lists that are tailored to your business. It has included pre-made inventory list template with abundant built-in elements such as company address block, contact information block, signature with date, tables, check boxes, and many other items that you could use in the expense report form. In a few clicks you can add a table, company address, company logo, change fonts and colors, add contact information, and choose which items appear on your forms. Simple and intuitive, it is designed for both experienced and novice users. When you finish, you can easily print your inventory list, export it as word or PDF, or share it with others. Download a free trial and see first-hand how quickly and easily you can create effective great-looking inventory lists. Dozens of ready-made templates make you instantly productive. 1 software package for more than 200 kinds of diagrams, benefiting various fields. Save / export / print in multiple formats including doc, pdf, pptx, and many other kinds. You get hundreds of professionally-designed icons and symbols for designing forms and a lot more! Edraw helps you align and arrange everything perfectly. And Edraw's smart connecting lines stay attached to your shapes even when you move them around. The preset themes help you enhance color, line and fill style altogether at 1 click. New symbols, samples and functions are added every day to equip Edraw with better and better capacity. Users can sync for limitless diagramming resources. Built-in inventory list templates let you drag and drop each component of your form flexibly to compose a completed form. Every single element can be dragged and dropped to anywhere of the canvas you like, even tables. This feature enables users to freely lay out the format with no hassle. All the elements and symbols can be changed in the form. You can revise the background, line color, border style and fonts. It's easy to add your company logo or other symbols. No matter you are a novice or a professional, you can deal with it at first sight and you can make marvelous inventory lists with only a few mouse clicks. 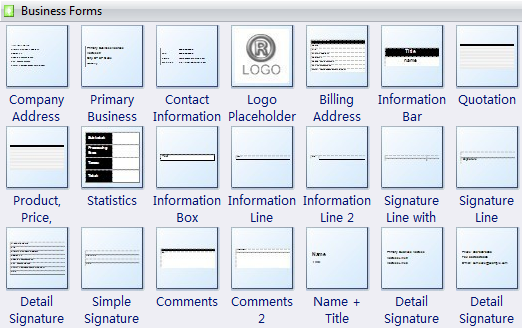 Edraw inventory list software includes some examples and templates to help you get started directly. You can open these examples and modify them to meet your requirement. 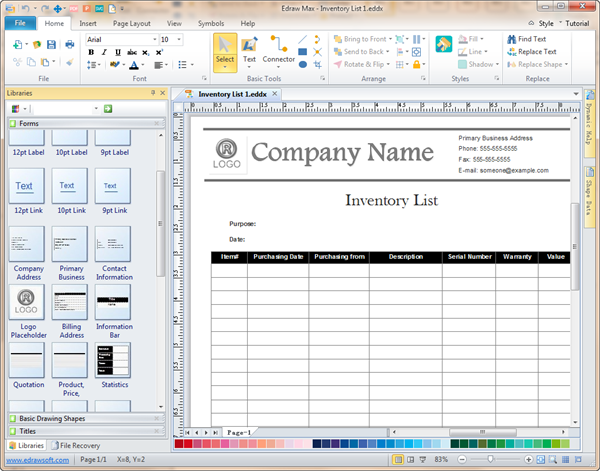 Click here to download inventory list templates.